Mid90s is a new coming of age dramedy that marks the directorial debut of sometimes funnyman and Oscar-nominated actor Jonah Hill. It looks like a bitter sweet pill to swallow that brings as much humor as it does heart and emotional drama. The first trailer has arrived from A24. Mid90s isn't just cashing in on the current nostalgia for the era in which it's set, but that's certainly part of its charm. The movie follows Stevie, a thirteen-year-old in 90s-era LA who spends his summer navigating between his troubled home life and a group of new friends that he meets at a Motor Avenue skate shop. Some are comparing Jonah Hill's first outing to the seminal Larry Clark movie Kids, which actually came out in the 90s, and caused a lot of controversy. That same kind of controversy doesn't exist today. As everyone has turned their attention to much more mild stuff to complain about. So it's unlikely that there will be much of an uproar over Hill's expose of young living. The trailer is weighed down in darkness, with the only funny exchange coming between a security guard played by the very funny Jerrod Carmichael and Stevie's skater friends. Carmichael gets a laugh when he compares one of the long-haired kids to singer Sheryl Crow. But the rest of the clip sways away from anything even remotely humorous. Many may enter Mid90s, with its nostalgia friendly title and Jonah Hill at the helm, thinking they're going to get a Fast Times at Ridgemont High type comedy. Hill is known for being able to spin a deft joke, but he's mostly leaving that to the side as he shows a different side to his artistic abilities. The actor hasn't just appeared in hilarious romps over the years. He played in the drama Moneyball and was a welcome fixture in Martin Scorsese's Wolf of Wall Street. His next movie is the more serious Don't Worry, He won't Get Far on Foot. So Hill is no stranger to darker material. Jonah Hill has also turned in more serious roles in films like True Story and Cyrus. So fans shouldn't necessarily be shocked that his first outing as a director isn't some screwball teen comedy that colors inside the lines. 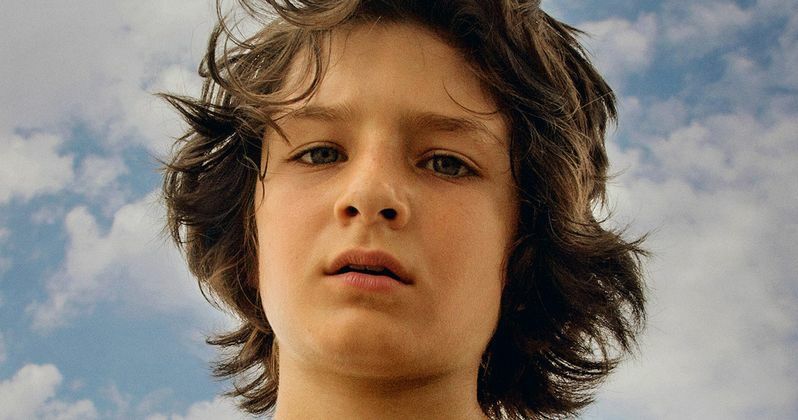 Newcomer Sunny Suljic stars as Stevie, headlining his first movie under the guidance of Hill. The ensemble also includes Lucas Hedges as Stevie's very abusive older brother. Alexa Demie also stars in the dramatic comedy outing. Scott Rudin, Ken Kao and Eli Bush are producing the movie for A24. Mid90s will hit theaters on October 19, and it will certainly speak to a generation of young adults who grew up in the era. It could land as their Dazed and Confused. There have been a number of girl-centric coming of age tales as of late that have garnered plenty of awards attention. With Hollywood so focused on putting females out front, it will be interesting to watch how Mid90s lands with critics. You can check out the first trailer and poster from A24 here.